At Nourish Scotland we want to see flourishing cities, towns and communities centered firmly on the well-being of Scotland’s people, now and into the future. Support for public transport, active travel, renewable energy, waste management, schools and public services all form part of this picture – as does sustainable food. By investing in a healthier, more sustainable and fairer food system, our local authorities can deliver a whole range of social, economic and environmental outcomes. The Scottish local government elections took place on 4 May 2017. 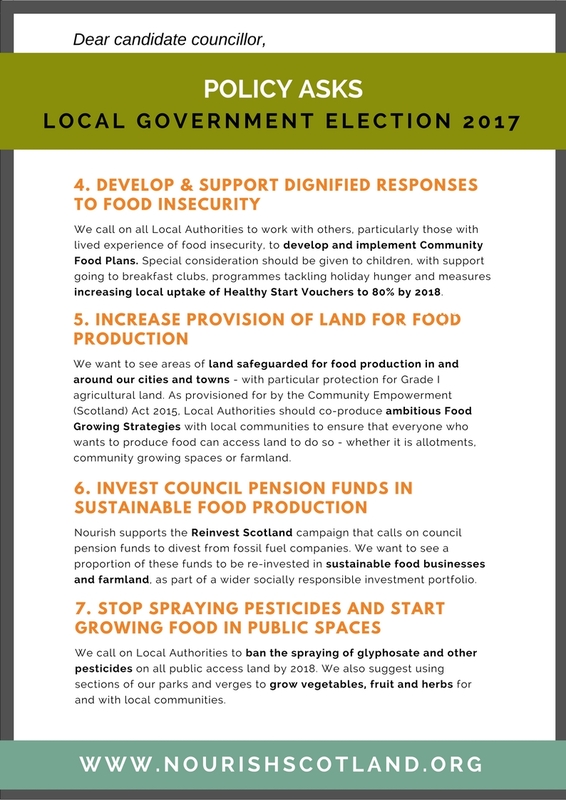 We encouraged our members and supporters to speak with their local candidates and ask them to put focus on food in the next council period. At the bottom of this page, you can see a the candidates who signed up to the asks. To follow what happened on Twitter, look back through the hashtag #NourishElectionAsks. 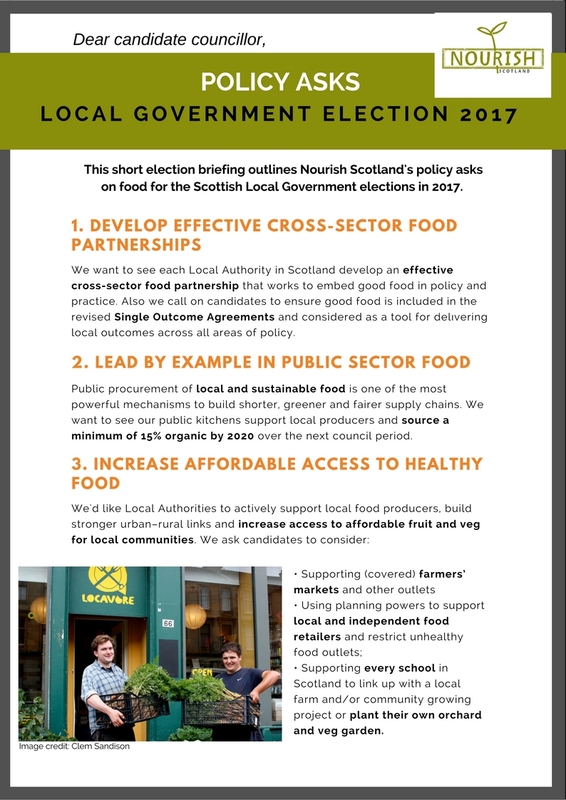 If you have any questions or thoughts about our policy ideas, please get in touch with Olga Bloemen at olga @ nourishscotland.org.uk, or call the Nourish office on 0131 226 1497.